This is my friend. My writing pal. A fellow traveler whom you might have heard of. 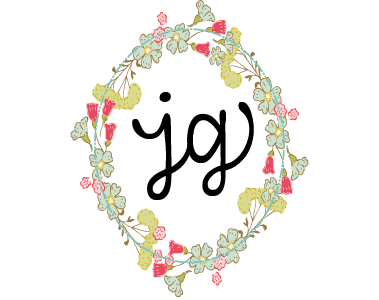 Her name is Shannan Martin, and way back in the day, in the cave-drawing, hunter-gatherer decade of the blogasphere, she was known as Flower Patch Farmgirl and I was known as My Little Life and then Jolly Goode Gal (because, hello Enneagram 7.) In those ye old days of yore, Shannan was happy fixing up her farmhouse and I was happy fixing up my city cottage. 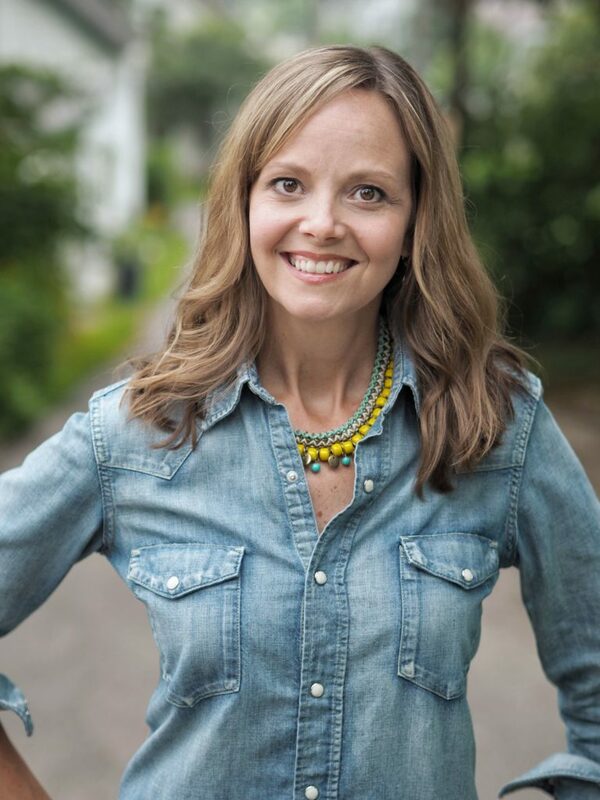 At the very same time that God began to whisper strange somethings about moving into town and over the wrong side of the tracks into Shannan and her husband Cory’s hearts, God began to nudge Nathan and I towards farm-life. Of course it was a nudging that I – in typical fashion – twisted and distorted to the point that God had to stop and take a breather, before shaking me and my assumptions like a kinked-up necklace. Flinging me back and forth, up and down, jostling me wild until all the knots and bends fell out, and I surrendered to “being thankful for what I had without asking for anything to change.” Which of course is when things changed. The Martin’s moved to the city certain that God had a calling for them there. The Greer’s moved to the country certain that God had a calling for them there. And then after the flurry of moving and building (them) and remodeling (us) and digging in and fervent hopes of seeing God at work and earnest desires for transformation … crickets. When Shannan moved to town and we moved to the country I was a little confused. And maybe a tad jealous. And definitely filled with FOMA (that’s fear of missing out, Dad). The Martin’s were leaving their beloved farmhouse, the little town they fit into, and moving to a neighborhood on the wrong side of the tracks, a city away, where they knew no one, where their kids would go to a failing school and they would join a tiny, faltering neighborhood church. Meanwhile, we were leaving city, and our diverse, urban school, and our struggling neighborhood church, to move to a mid-century farmhouse, in a tiny, conservative, and safe town (where we knew no one,) so I could work at a thriving church one town over. More than once it crossed my mind that maybe Shannan and Cory were better at listening to the heart of God than Nathan and I, and more than twice it occurred to me that they were at the very least much more noble. We knew, had known for a decade, on a gut-and-soul level that we were called to a rural life, just as S & C had known they were called to Goshen. And if you have read this blog or At Home in this Life, you will not be the LEAST bit surprised that not much has gone as I expected. Not that I don’t love certain things about farm life – I do. But. The truth is, despite the obvious loves -the chickens and the goats, the pumpkins and the picnics, – I have struggled to figure out why God called us here. What we are supposed to do with this place, with this gift that is Preservation Acres. 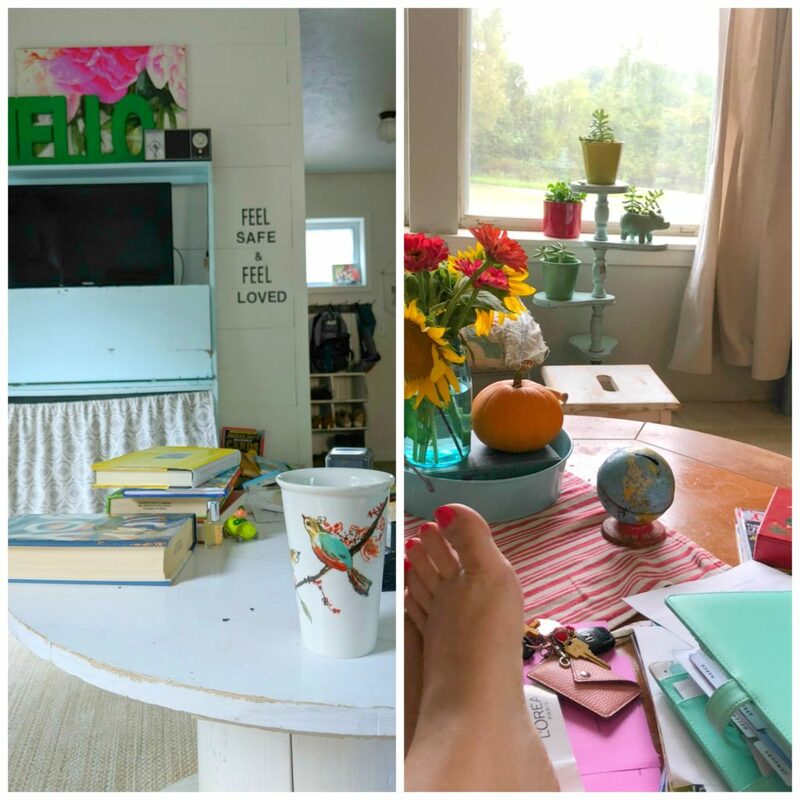 I had evolved from the fresh-faced farm girl living my version of the American Dream with a side of Jesus. I’d become the gutsy, subversive, city-loving advocate. The new neighbor. My kids went to a new school. We lived in a new house. On and on it went, my fists closing around this latest rendition of my identity, just as they had before. But as people came into our lives and left us, as the carpet wore down in the sorry way carpet is prone to disappoint us, it became harder to ignore. We were no longer new. We were just here. The headline had faded. The sparkle dimmed. Surely God did not lead us here just to live. There they were. The words that I had been whispering under my breath for a year. Because like Shannan said, We were no longer new. We were just here. The headline had faded. The sparkle dimmed. And boy howdy, had it dimmed. Keeping up with eight acres, the ongoing house remodeling (start, stop, start, stop stop stop, start), new animals and more new animals and all their structures, the gardens, on top of working full time plus+, added travel, launching a kid into college and another into the high school years, and family illnesses had turned out to be a lot more more than I had anticipated. Not more fulfilling, not more exciting, not more holy. Just a lot more more. 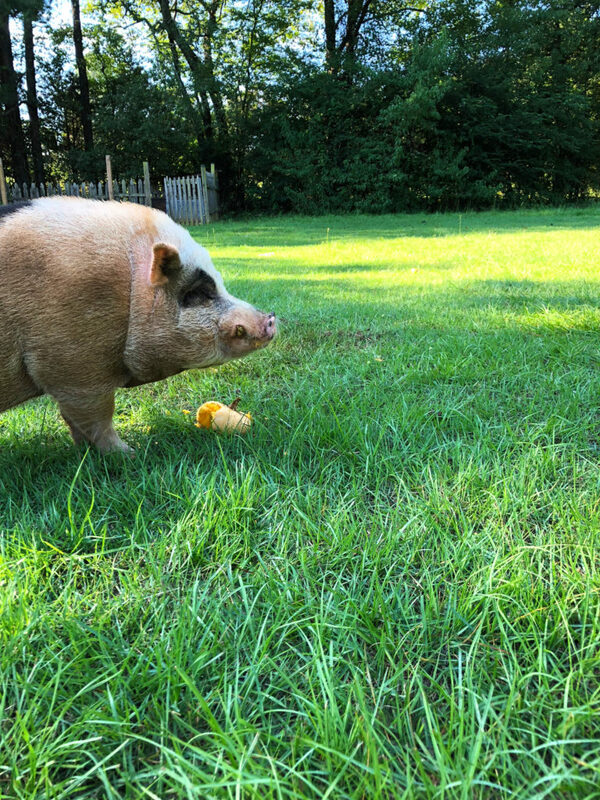 Occasionally we have been able to host what I would consider meaningful events here at the farm – gatherings of friends and neighbors- but most of the time life here on the farm is just life. It is work. It is time consuming. It is daily. It is smelly. And since neither Martha Stewart nor Joanna and Chip Gaines, has sent me their staff to help, daily and smelly it has remained. Surely, there was something much sexier, hipper, or radical on the horizon than this I have thought more than once. Surely. All I needed was the plan. What is the plan God? Just show me the damn plan. There MUST be a plan, or why would you have called us here? I brought you here to live. And PS- I already gave you the to-do list. Note, that it also applies when you are happy about where you live. See below: – God. Work for peace in your community. Work for your community’s prosperity. Don’t listen to motivational speakers and or model your life after reality television. Do not be tricked into thinking you need/deserve/have to have more. Don’t worry- I’ve got this. I have given you a plan for your immediate future*, and it is a plan full of hope. *See above. So keep talking to me. I am listening. If you need me, look for me. I am here. You can always find me. So, here I am. In this life. A life I wanted, but one I don’t always understand. Which means, I think, that like Shannan, but different because of course, I reckon I am here for the lessons of just living. This time, I am going to hedge my bets and go with getting on board. The coffee table on the left is Shannan’s. On a Monday morning, on the wrong side of the tracks in Goshen. The coffee table on the right is mine. On a Monday morning, on the farm in Shady Grove. In both places God’s call to us is the same; to live fully – not just exist – where we are. 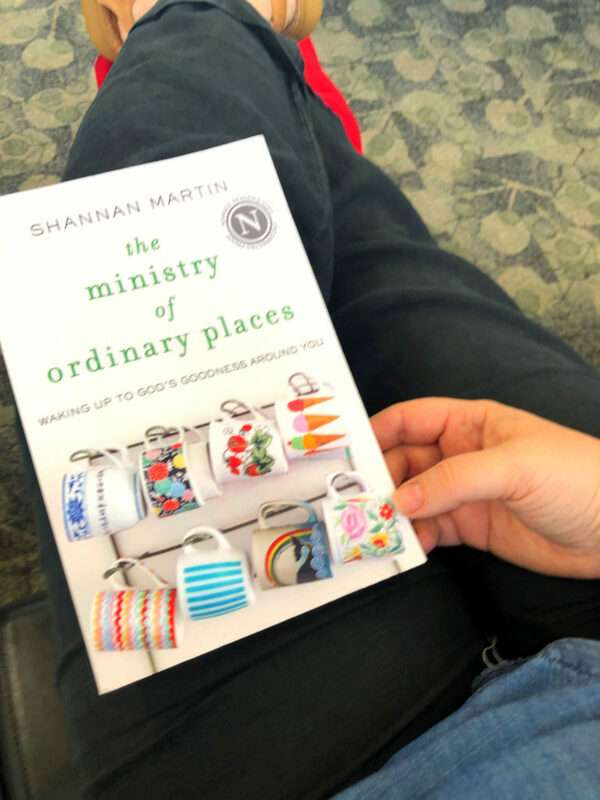 Whether you are encouraged or terrified by the idea that God is calling you to be fully present where you are, instead of where you thought you should be, you should order Shannan’s book and read her story – you might find God is calling you like Shannan, but different – of course. LOVE THIS (in all shout-y caps)! I am at the age and stage where I am questioning – struggling to understand – the big plan … because surely there is a big plan, right? And maybe the big plan all along was to live and love, and share that with the world around me, however big or small that world may be. Thank you – and Shannan – for articulating this. I’ve followed both of your blogs and books for years, and this post reminds me why it always felt like visiting a friend. Thank you. I love this so so so much, sister.